that can act as a form of therapy for people with autism, Tourette syndrome and other special needs. Corti and Parati were presented with their award by Tokuo Fukuichi, President of Lexus International, at a ceremony held at the Lexus Space at Milan Design Week. Difficult though it was to choose one Grand Prix winner from the four remarkable finalists, the jury's unanimous decision is Sense-Wear. 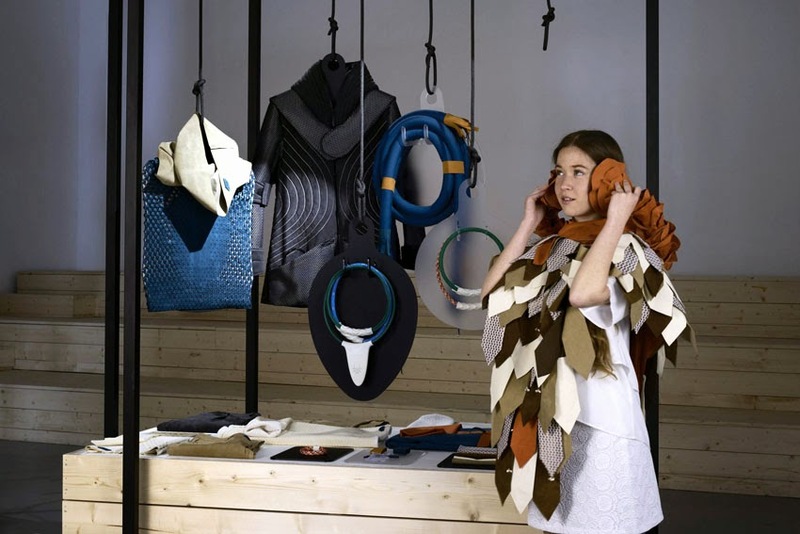 It is very rare to find a design project which is joyous, formally seductive and fulfils such an important function," said Paola Antonelli, a member of the awards judging panel and a curator at MOMA in New York. The winners, from the design group Caravan, added, "We decided to participate in this competition because we particularly like its theme, Senses. We did a lot of research and came across many things which could lead to new design ideas before selecting one project: garments that would improve the life of people, especially people with special needs." "We visited specialised institutions, shared our ideas with therapists and integrated their feedback in our project. Actually, we see now that such clothes could be useful for lots of people. In our daily life, we are sometimes confronted with stressful situations in which we would like to build some kind of shelter around us. So, this award represents a great opportunity for us to further develop our idea, and hopefully to help people in the future." Alain Uyttenhoven, Head of Lexus Europe, said, "For Lexus, design is about much more than constantly striving to make even better cars. Our point of view is that great design can make the world a better place. The Lexus Design Award celebrates innovative and engaging design while empowering young and talented designers, giving them the opportunity to showcase their amazing ideas." The Lexus Design Award is in its third year, but this is the first time an overall Grand Prix title has been awarded. In total 1,171 submissions were received from designers in 72 countries. Judging criteria included the depth of understanding and interpretation of the competition theme, together with the individuality of perspective and originality of the design concept. The jury of world-renowned designers, creatives and commentators selected 12 finalists, four of whom were given the opportunity to advance their project to prototype stage with mentoring from internationally celebrated designers Robin Hunicke, Arthur Huang, Max Lamb and Neri & Hu.